• Orthopaedic rehabilitation post surgery/injury. My mixed caseload of the above conditions takes my physiotherapy skills to children’s homes, nurseries, schools and sports clubs to provide a clear and accurate assessment of the young person’s difficulties/abilities and prognosis. This informs a truly holistic approach to maximise the child’s prognosis/recovery. My love for working with children, often presenting with a number of inter-related symptoms mentioned above (eg hypermobility and developmental delay) developed at the Royal National Orthopaedic Hospital, Stanmore, specialising in Orthopaedic and Paediatric Physiotherapy. With such a varied caseload I use many treatment modalities including Bobath principles and Neurodevelopmental approaches and stretching and strengthening programmes with some ‘hands-on’ treatment to achieve the very best results for my patients whilst also having fun! Be that in water during Aquatic Therapy or on dry land! I also still work with acute adult orthopaedic cases at a local private hospital, continuing my interest in acute orthopaedic rehabilitation and conduct medicolegal work in the areas of Orthopaedics and Paediatrics. Details of Medico-Legal work can be found here. Jo is a member of the Association of Chartered Paediatric Physiotherapists and the Aquatic Therapy Association of Chartered Physiotherapists and also still takes a small amount of acute orthopaedic work. 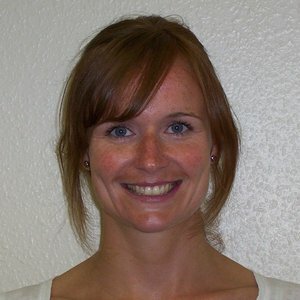 Jo graduated from Sheffield Hallam University in 2000, with an Honours degree in Physiotherapy. When Jo isn’t working she is usually found chasing around after her two young sons or squeezing in a run when possible!